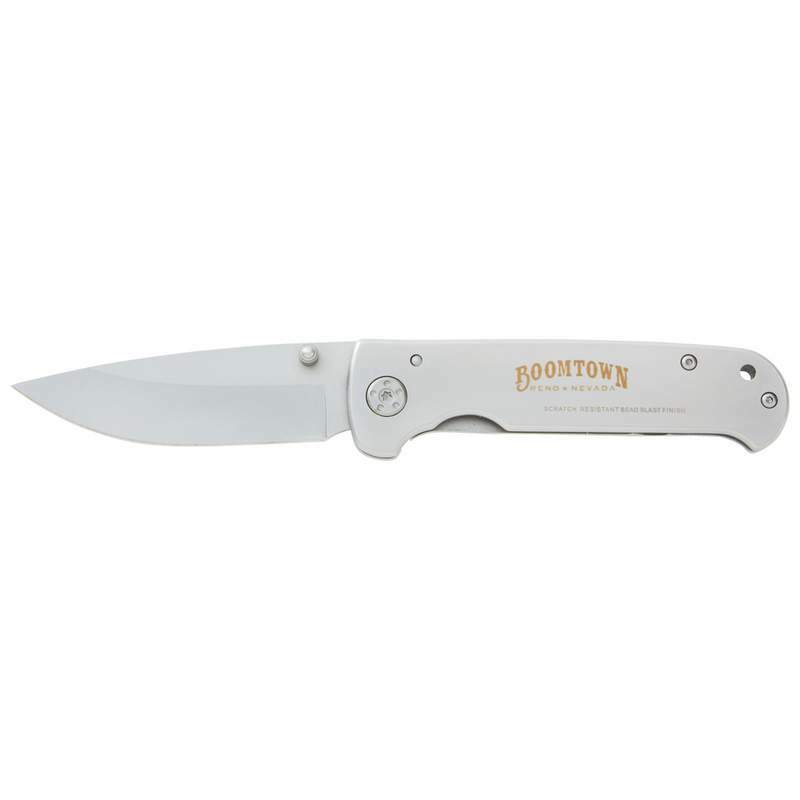 Frame Lock Knife. Bead blasted 420 stainless steel handle. Measures 4-1/4" closed. Gift boxed.